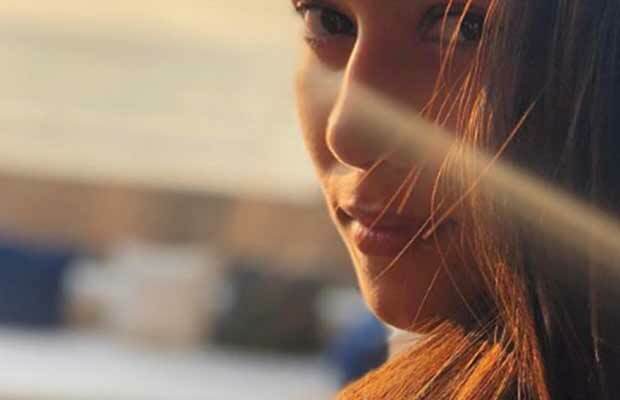 Shahid Kapoor shares a picture of wife Mira Rajput. Shahid Kapoor has captured his wife in a picture, and we are mesmerized! Shahid Kapoor and Mira Rajput Kapoor have always been a mystery for fans. Although one mystery was unravelled when Mira’s Instagram account became public recently. If someone scrolls through Mira’s Instagram, they will come across varied pictures. But the most precious pictures are the ones of her beautiful family— husband Shahid Kapoor and daughter Misha Kapoor. By the looks of it, Mira is always the one behind the camera. However, this picture is an exception. In this new picture uploaded by Mira, we can see her in her sun-kissed glory. Doesn’t she look gorgeous! In the caption, Mira has given credits to her husband Shahid Kapoor for clicking the picture. Currently, the picture has 58,691 likes and many more comments. Seeing this picture we cannot help but think that Mira Rajput Kapoor is ready for her Bollywood debut. Ever since Shahid and Mira got married, rumours of the Kapoor Bahu making her debut have been floating around. Finally, that matter was cleared in a recent interview. Shahid told a leading magazine that making a Bollywood debut is Mira’s decision to take. Looks like the new Kapoors making debut are going to be Ishaan Kahttar and Janhvi Kapoor in ‘Dhadak’. Janhvi Kapoor And Ishaan Khattar’s Dhadak Will Win You Over In A Heartbeat! This is not the first time that Mira has sent us into a tizzy with her Instagram. Previously she had uploaded a rather candid picture of her two loves— Shahid and Misha together. In the picture, we can the Padmavati actor look with adoration at his daughter while the said daughter grins at the camera. Mira captioned the picture with the word ‘Happiness’ and a ‘thank god’. Shahid’s Instagram is proof of his love for photography. As an amateur photographer, Shahid has captured some beautiful moments. While the recent ones are very candid pictures of his wife and daughter. Who’s that STUNNER. Clicked by me. ? Previous articleRanbir Kapoor Meets A Mystery Girl While Mahira Khan Reveals Plans For Second Marriage! Next articleExclusive Bigg Boss 11: These Three Contestants Locked Up In Kaal Kothari!